Comfort Aches maintains a healthy musculoskeletal system, even in the roughest of play. This unique combination of herbs has gentle and harmonizing properties, making Comfort Aches the ideal natural alternative. Comfort Aches may help to relieve inflammation associated with normal daily exercise and activity, training, and competition by supporting the structural integrity of joints and connective tissues. Comfort Aches is a must for any dog household – keep a bottle of this quick-acting formula on hand for occasional, short-term, or long-term use! 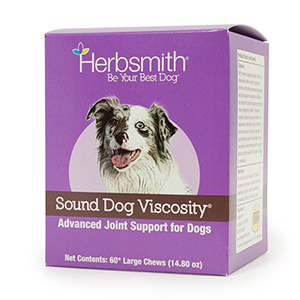 Use with Soothe Joints and/or Sound Dog Viscosity for the ultimate joint support regimen. 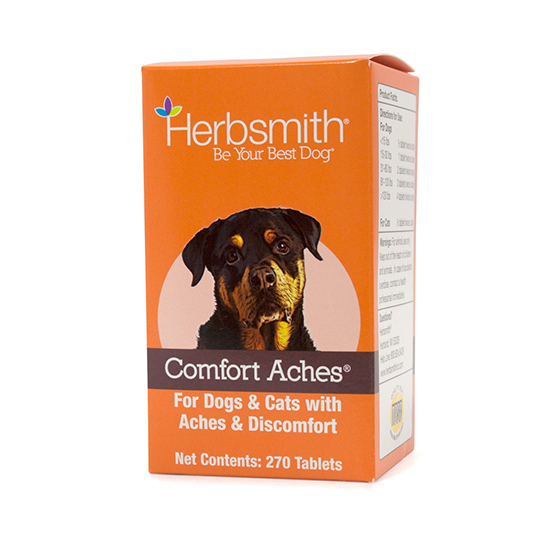 Comfort Aches helps to maintain a normal inflammatory response and is great for dogs and cats experiencing occasional aches, discomfort, stiffness, or soreness. Comfort Ache contains an optimum blend of herbs to enhance the body’s normal repair of connective tissues and joints. Stops bleeding, transforms blood stasis, and addresses discomfort from traumatic injuries. Invigorates, tonifies and harmonizes the blood, and addresses discomfort. Invigorates blood, promotes movement of Qi, addresses discomfort. Invigorates blood, dispels blood stasis, supports healing, and addresses discomfort. Dispels blood stasis, addresses discomfort and invigorates blood. Invigorates blood, expels blood stasis, strengthens tendons and bones, benefits the joints and tonifies and nourishes the liver and kidneys. Not for use in pregnant animals. 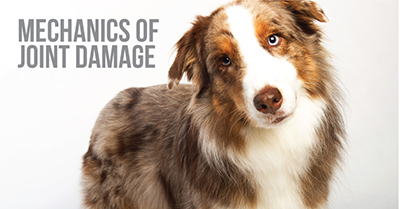 If animal’s condition worsens or does not improve, stop product administration and consult your veterinarian. Not for use within 48 hours of surgery/anesthesia. Overdose may cause kidney irritation. Administer the recommended dosage below. Not recommended for use in dogs weighing less than 5 lbs. 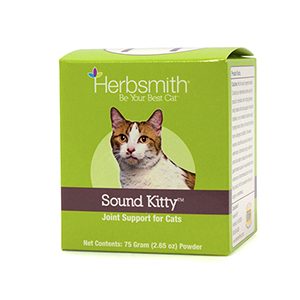 Our glucosamine supplement redeveloped for kitty joints! 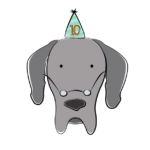 A glucosamine supplement providing joint support for dogs, Sound Dog is a great option for older pups who have a hard time getting around. Though the joints seem very protected, they can actually degenerate very quickly if not properly cared for. Damage to cartilage can often take forever to heal because it doesn't get to take very many breaks. 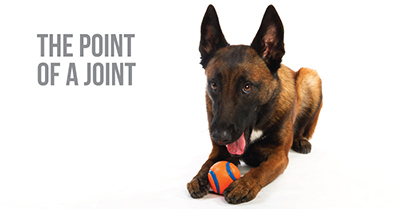 Take a proactive stance and give your dog glucosamine to provide ample joint support. Joints serve two (very opposite) purposes: flexibility & rigidness. 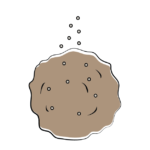 Like push puppets that collapse when you press their buttons but stiffen when released. 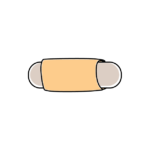 As various joints move in concert, the body is able to move forward. To maintain that synergy, you need a joint supplement that provides more than just glucosamine. 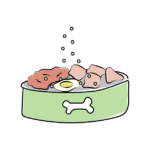 Is Your Dog Getting Enough Glucosamine? 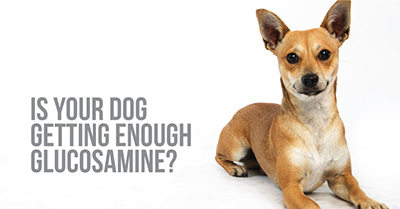 It can be tricky to find the best glucosamine supplement! 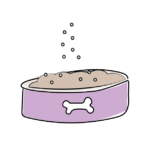 Many joint care supplements for dogs are deceiving. 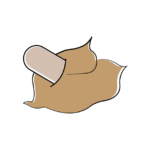 Right now, it's up to the informed pet owner to discern if a glucosamine supplement actually has helpful levels of glucosamine. Nobody regulates the gap between "some" and "enough". Still Have Questions About Comfort Aches? We’d love to hear from you! We’re 100% confident in the quality and effectiveness of our products, but we want to make sure you buy with that same confidence. Fill out the form to the right and someone from our team will be in touch. We’d love to hear from you! We’re 100% confident in the quality and effectiveness of our products, but we want to make sure you buy with that same confidence. Call or email us with the information below and someone from our team will be in touch. 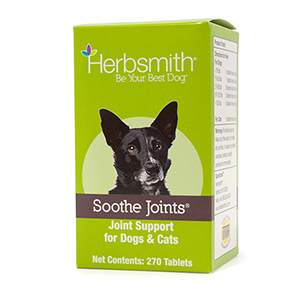 Comfort Aches helps to maintain a normal inflammatory response and is great for dogs and cats experiencing occasional aches, discomfort, stiffness, or soreness. Comfort Aches contains an optimum blend of herbs to enhance the body’s normal repair of connective tissues and joints. Administer the recommended dose twice daily.